officials in the next few days. Professional Mission to Israel pause by a wall in Masada. to the United States Navy and Marine Corps. provides information to a ground control station. be operational until 1986 at the earliest. for you is just beginning. 1 wF .. IIIMI li. Standing, second row [left to right] David Millet, Ala* Tebonl, Mark Kirsci. youngster while presenting them with their diploma. success of the meeting Mrs.
"(Meenag Committee at a recent meeting. her celebrate her 100th birthday. her. "She is in great shape,"
Barrish of West Palm Beach. were born before me.' "
fantastic. She enjoys it here." was a member of the Admissions Committee. County Blue Cross Blue Shield. maximum benefits to which they were entitled. worth of arms from Israel. Quality Kosher Catering In all Temples, Halls and Horn*. mmWtjK AM I CtwXr of Cwnrc. MOSAIC Sunday, June 24 and July 1, 9 a.m.
m WPBR 1340-AM with host Rabbi Mark S.
<-lere0 9i with host Dr. Simon Silverman. SHALOM Sunday, June 24 and July 1, 10 a.m. INSIDE STORY Friday, June 29, 9 p.m. VIEWPOINT Saturday, June 30, 7:30 p.m.
leaders from the Catholic, Protestant and Jewish faiths. ence la New York City. director of JF aad CS. Browns is a showplacc... you'll love it! JACKIE MASON. AUZA KASHt. MCNNY VOUHOIJAN. FREDDY ROMAN, SAL RICHARDS .COCKTAIL PARTIES! MIDWEEK GOLF TOURNAMENTS ALL SUMMER! Each Week's Winner Awarded FREE 2-Night Holiday For Two! funeral entails. Or how much one costs. may prove most limiting and stressful. I Send to: Guardian Plans, Inc.
insurance funded prearranged funeral program. development of JF and CS. ances provided to the U.S.
Lucerne Lakes Golf Course. Assume 10% mortgage. The taam is out of this world! roast coffee is 97<^caffein frfe, so you can enjoj it .invtmie. Only Maxwell House- l>ivi|ffeinjj|wHs fcaxweU typse DelicitHlg. Good to the last Decaffeinated drop. t> involved in USY activities. lumber ol the hoys line team. Glorious Getaway Vacations to choose from. Our 'Highlights of the Holylands. This year, experience Israel with TWA. There's more to it than meets the eye. Foi a free l'W4 Getaway"
the power of its people." a small library and a very extensive tutoring program. wasn't going to sit at home. recuperate rather than his bed. ^15 9IVeS TZJS! 51th!,at _and catories "of ***' cream cheese! It s from one of the most trusted names in Jewish homes. PNtadelphia Brwid. Sieve there is some hope. bJ this was his first m,ssion. I in being Jewish," he said. touched b\ their joini visit. Nd has jum been released. Kulick achieved his goal of! The Only Glirf Kosher Hotel In The Lincoln Road Are. future. Because we're Southern Bell. and the late Paul landerman. Center in West Palm Beach. (On* coupon per item purchased. Ceslspeaker Muriel Barry, RSVP volunteer coordinator. food manager at the Delray Kosher Lunch Connection site. want to look and feel their best. New Crystal Light" Drink Mix. lots of delicious natural flavors. And there's just 4 calories a glass. who will show you 9:30 to 11:30 a.m. The fee is and-or more inform!.""! Every Room wit h Private Bath. VVe don l /lt ^ your host for three generations. place for you and your car. do our best to make it right. vice Excellence, available at our stores. idler arm, muffler, battery, belts and hoses. Free. lent, prompt, courteous service at any of our stores. number. Every possible effort is made to keep our customers happy. cial tire changing equipment for protecting mag wheels. tires and each automobile's specifications. we are able to offer you the lowest prices. the same: Give our customers quality products and keep them happy. time and third time is easier. Walde. Cantor Mordecai Spektor. Daily 8-30 a ml"
p.m.. Mincha followed by Sholosh Suedos. 501 N.E. 26 Avenue, Boynton Beach 33435. Phone 586-9? Sabbath services, Friday 8:15 p.m., Saturday 9a.m. Palm Beach 33411. Phone 689-9430. Rabbi Joseph Speiser.'. Services 8:15 a.m. and 5:30 p.m. Sabbath services Friday's! Daily Minyan 8:15 a.m., Sunday and Legal Holidays9a.m. 8:15 p.m.. Saturday 9 a.m.
33430. Sabbath services Friday,8:30 p.m. Phone996-3886. Beach 33414. Sabbath Services Friday 8 p.m.. Saturday! a.m. Rabbi Nathan Zelizer. Phone 793-9122. Abraham: 3257 S.E. Salerno Road. Port Salerno. Friday night services 8:15 p.m.. Saturday. 9a.m. Daily services 8:15 a.m. and 6:30 p.m.
m.Y. I Iti Port St. I.ucie. FL 33452. Friday night services"
Saturday morning IV 30 a.m. Phone 465-6977. 33460, Phone 461-7428. Cantor Anne Newman. Avenue and Victory Blvd.. Vero Beach 32960. maum*. I June 24 at II a.m.
luncheon and cruise on "The Paddle Wheel Queen." Hotel. I oi details, contact Lillian Schack. July 9. Call Emma for more information. be prizes and surprises. The bus leaves at 8:30 a.m.
rase H Bob Million at 684-8593. '* members and $5 for non members. rf directions and information please call 689-7700. AREER SINGLES ENJOY A "HAPPY HOUR"
165 Ohio Rd., Lake Worth. Samuel E., 77. of Bennlngton Lane. Funeral Chapels. West Palm Beach. Janet. 70. of 13812 Sand Crane Drive. Funeral Home, West Palm Beach. Verecondo. T. ol Boynton Beach. Dr Jacob K. 74. of 207 E. Bond Drive. member of the Comprehensive Senior Service Center. 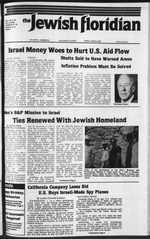 Prime Ministers Club of Israel Bonds and many more. actively supported him in his community services. 5 n* "la". 0.5 mg. ncoimc m. pm cqvmi by FTC mtthod.